The year 2015 was, for a number of Southern African countries, a time in which protests were central in people’s quotidian lives. 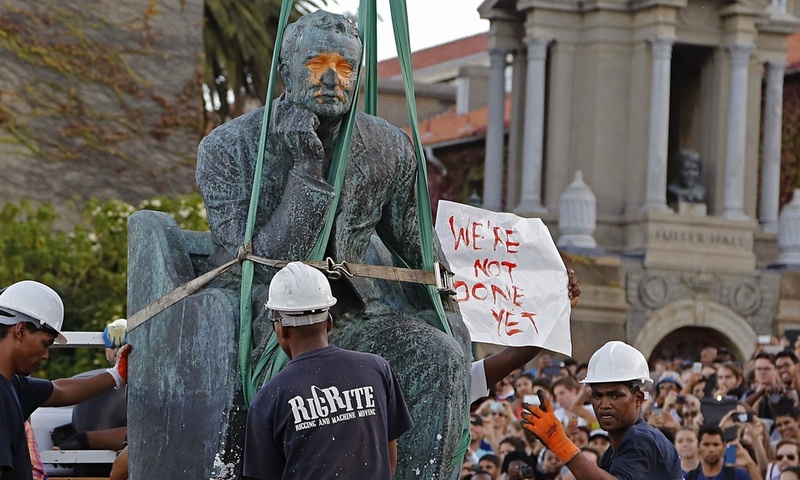 In South Africa, the RhodesMust Fall and FeesMustFall movements gained momentum and became significant voices in the call for decolonizing not only the institutional structures of (South) African universities, but also the political landscape. Protests at the University of Johannesburg at the end of 2015, for example, were met with disproportionate violence and force by the police. The Angolan authorities also clamped down on government critics and political activists, including the arrest of 15 human rights defenders in June 2015 and the violent disruption by the police force of actions of solidarity with the socalled Angola 15+2 group of detained activists. In South Africa, e.g. In light of these events, it seems particularly urgent to reflect on historical and current struggles for liberation in Southern Africa and their representation in literature and culture. The symposium “Struggles for Liberation in Contemporary Southern African Literatures and Cultural Spaces,” to be held on the 10th and 11th of November 2016 at the University of KwaZulu-Natal (Durban), seeks to highlight representations of struggles for liberation in different current artistic manifestations. To what extent are apartheid legacies for its neighbouring countries (such as Angola, Mozambique and Namibia, for instance) represented in current art in- and outside South Africa? How are the ‘border wars’ represented in post-2000 Southern African fiction and art? In which ways are current movements of resistance across Southern Africa using artistic forms as tools of disruption? While the symposium will be held in English, we particularly encourage presentations on and dialogues between anglophone and lusophone contexts. The symposium will feature readings by Mandla Langa and Niq Mhlongo. Abstracts of no more than 300 words for 20-minute presentations plus a short biographical note should be sent to the convenors, Danyela Demir (UKZN), Annika McPherson (University of Augsburg) and Lindy Stiebel (UKZN), via danyela_demir@gmx.de by 1st July 2016.